Microsoft is making it easier for developers to sell apps to businesses and educational institutions running Windows 10 devices. Starting today, the company is enabling the option to sell paid apps in volume through Windows Store for Business, simplifying the process of managing and distributing Windows apps across an organization. Microsoft says small to medium businesses alone spend roughly $70 billion annually on desktop software, applications, and utilities. That’s a big market to tap into, so long as you're in one of the 35 markets where Windows Store for Business is available. The revenue split for volume discounted apps will work in the same way as apps purchased by consumers: developers take home 70% or 80% if sales exceed $25,000 in monthly revenue and Microsoft takes the remaining 20% or 30%. Purchasing apps in volume is only available to those businesses who have bought and installed Windows 10 Enterprise onto their computers and tablets. 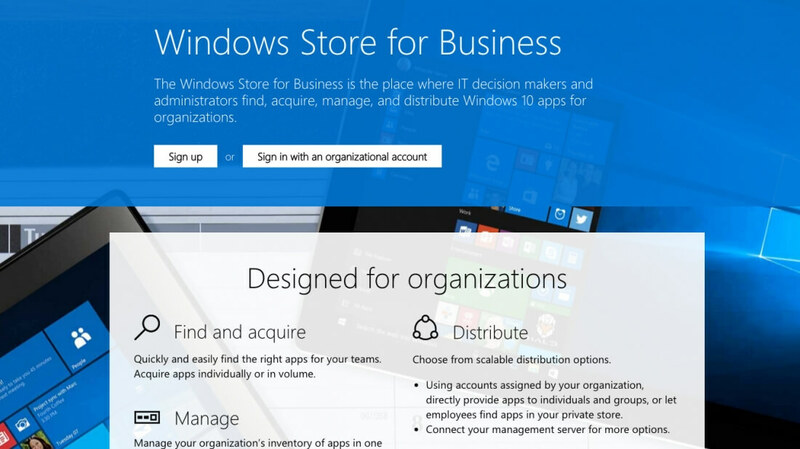 Microsoft says this is only the first of a few new features it plans to launch for Windows Store for Business. Future updates will include invoicing, volume discounts, organizational in-app purchases and additional payment methods besides credit cards.